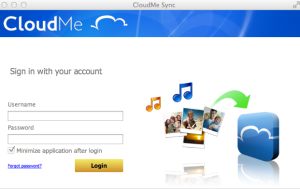 Sweden-based CloudMe looks like a fairly standard online backup and sync service, and it’s clearly taken a lot of inspiration from the well-known Dropbox service, with similar pricing, a free option, and extra storage for referrals. The service itself works well, and may be exactly what some users are looking for. However, there are a few shortcomings that may put you off – so you should read this review in detail to see if any of them will affect you before you sign up! We’ll start with the good news about CloudMe: you get 3GB of completely free storage, paid storage at roughly the industry average, and a service that’s fairly simple to use. The basic feature-set covers all the major bases, but it’s fair to say that some other services offer more to play with. If you want to do anything particularly complicated, you are left to your own devices to use the solution’s WebDAV integration. This may appeal to some enthusiasts, but there are other services that give novices a little more “out of the box” functionality. Support is a bit of a disappointment. All we could find was a forum, and a social networking presence on Facebook and Twitter, neither of which showed much evidence of support-related interactions. Furthermore, the support email address was unnecessarily rather hard to find. It’s never ideal to find yourself short of support options, and even the forum is fairly light on content. 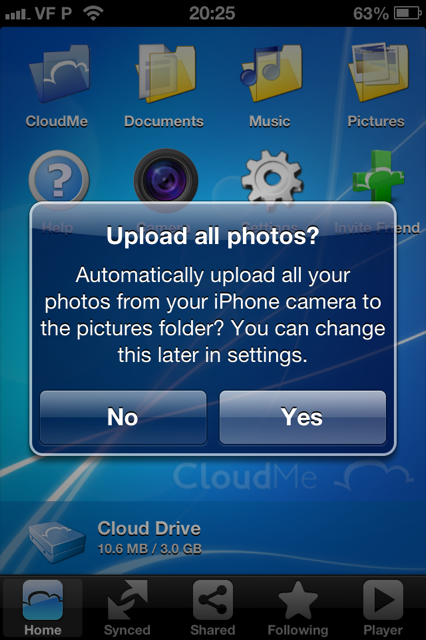 Still, CloudMe does work as a simple backup, sync and sharing service, and with the free 3GB of storage expandable up to 16GB if you refer your friends (in a similar manner to Dropbox), you could find some use for it as a simple place to dump some important files. Just don’t expect masses in the way of bells and whistles. Like many online backup services, CloudMe offers a completely free service for up to 3GB of data storage, 1GB more than Dropbox. In common with Dropbox, you can also add to your free storage by referring friends to the service, with 500MB of extra storage provided for each referral. You can refer new customers via Facebook, Google+, Twitter or email invitations, and CloudMe also provide you with a referral link. All the above prices are based on the EUR/USD exchange rate at the time of writing. As you can see, you make a 16% saving on each paid package by committing for a year at a time. 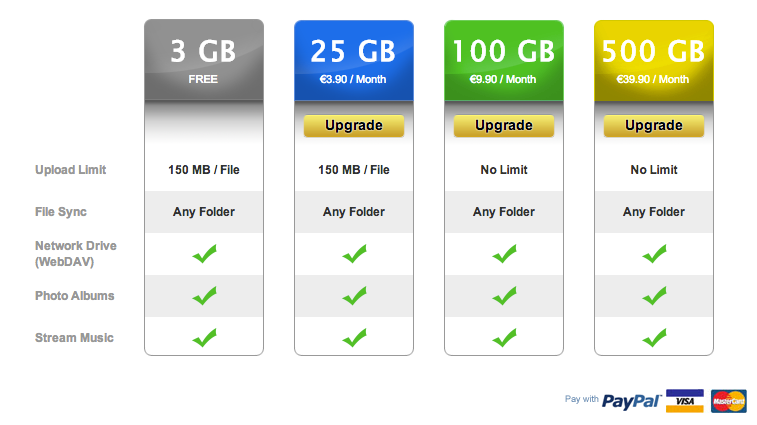 These prices are almost a carbon copy of those offered by Dropbox. One point worthy of note is that both the free and 25GB packages are limited to a maximum filesize of 150MB, making these lower-level services of little use to anyone who wishes to upload video or other large media files. Payment for the chargeable services can be made by PayPal, Visa or Mastercard. 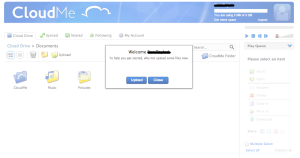 CloudMe has a relatively bog-standard feature set, but it’s worthy of note that its WebDAV functionality does give you the ability to interface with a host of third-party products. While this will appeal to techies, less experienced users would arguably prefer to have more functionality built into the core solution. Music Streaming: You can also stream any music files you have uploaded to your storage directly from the Web interface or from the mobile apps. 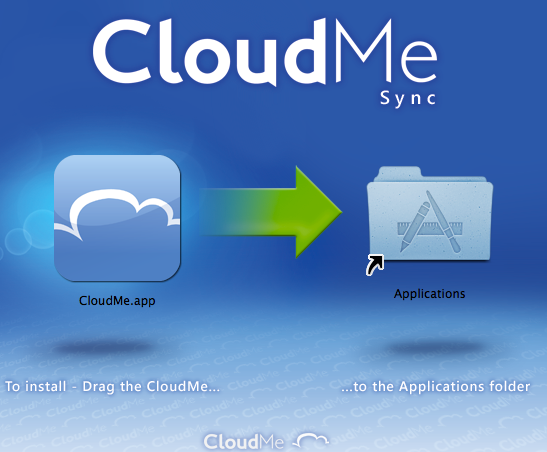 Multiformat Apps: CloudMe provide synchronisation apps for Windows, Mac, Linux, iOS and Android. 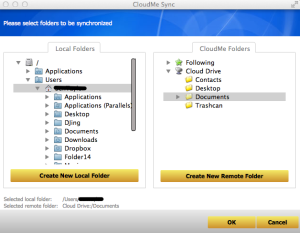 These all essentially work by providing you with a “blue folder,”which provides live synchronisation between all devices, but it’s also possible to configure the software to sync additional folders by mapping folders on your computer(s) to specific folders within your CloudMe account. 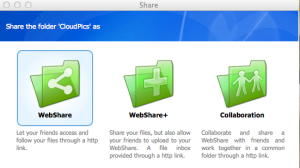 Sharing: CloudMe offers a good range of sharing options, ranging from basic sharing, which allows you to provide access to your files to people by sharing a link, to more collaborative sharing options which allow your friends or colleagues to upload to your CloudMe space as well as accessing the contents within. 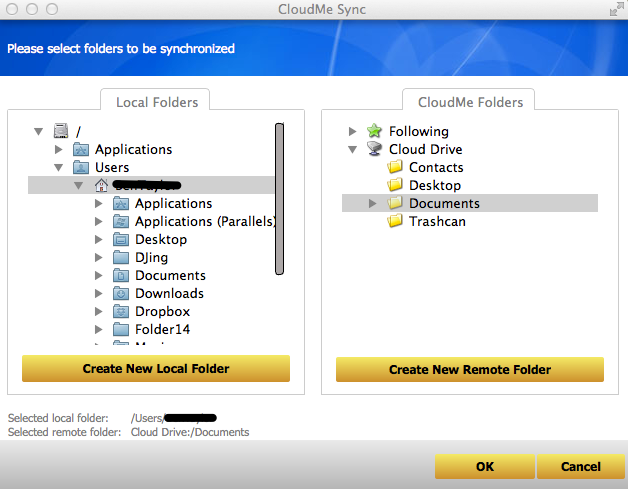 Basic Scheduling: CloudMe offers some basic functionality to configure exactly when synchronisation takes place. Revisioning: CloudMe archives previous versions of files via its trash can functionality, which keeps a 60-day history of deleted files. 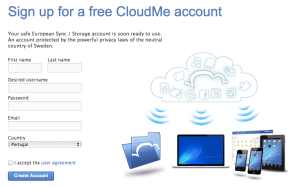 If you’re looking for a high security online backup service, it’s fair to say that CloudMe probably doesn’t fit the bill. In fact, we had to dig around in the forum’s FAQ section before finding any reference to encryption on the provider’s website. 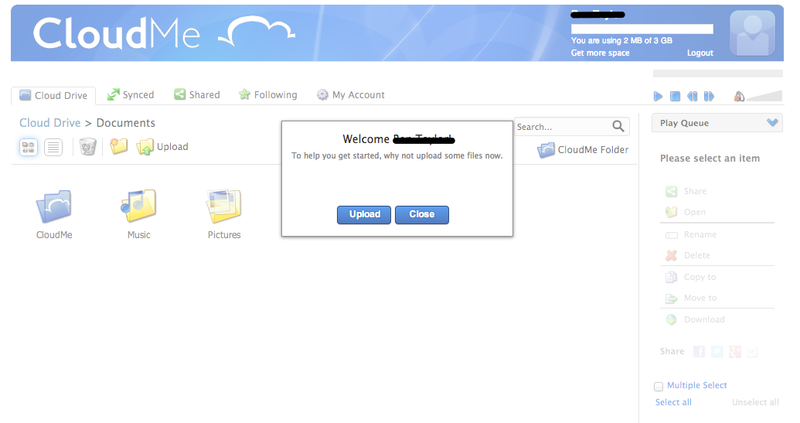 Essentially, CloudMe doesn’t offer any built in encryption. As is described in the FAQs, you are free to upload and download encrypted files, but the encryption process itself is down to you. Information on data redundancy is similarly thin on the ground. While the FAQs state that all CloudMe data is “backed up once a day,” there’s little else to tell you exactly how it is replicated and protected. If you plan to use the free service for non-confidential data, this lack of detail may be of little concern. However, if you step up to a paid subscription, or are working with sensitive information, you will probably want to know a little more about what goes on behind the scenes. Clicking on CloudMe’s “Support” link takes you straight to a support forum, which in turn includes an FAQ section. We initially thought this was the sum total of our support options, but an email address for the support department was, in fact, hidden away within the answers to one of the questions. Still, support options are still very limited. While finding no number for telephone support is fairly normal, it’s a shame there isn’t live chat, or at least some other kind of support option available. Signing up to CloudMe is pleasingly simple. Clicking the “get your free account” link takes you to a simple sign-up page, where all you must provide is your name, desired username, email address, password and country. As soon as you provide the information and click “create account,” you are ready to go, and taken straight to the service’s Web interface. From here you can begin to upload files to your account via a simple drag and drop interface. To get into the synchronisation features of the program, you need to download a custom software client for your desired operating system. We downloaded the Mac version, which installed courtesy of a regular Mac (.dmg) installation file. We simply needed to drag the program file to our “Applications” folder to complete the install. With these simple setup steps complete, a new “blue folder” for CloudMe was created on our Mac. This corresponded with the blue folder within our online account. The default location for the local “blue” folder was as a subfolder of the logged in user’s “Documents” folder. All we needed to do was map a selected local folder to a folder within our remote storage. For example, we created a new folder called “Cloud Pics,” and chose to map it to the “Pictures” folder in our CloudMe account. We were then able to stream those files, both from the Web interface and from the iPhone app, which we tried later. 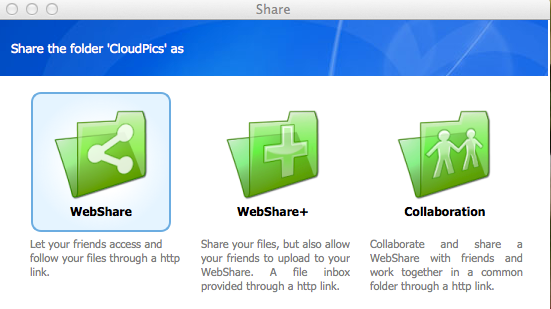 On our Mac, it was also possible to select a folder to share from the “other” end, by selecting “share folder” from the CloudMe program menu. Doing it this way provided us with a browse window. Once we had selected the relevant folder, the same share options (shown above) appeared. 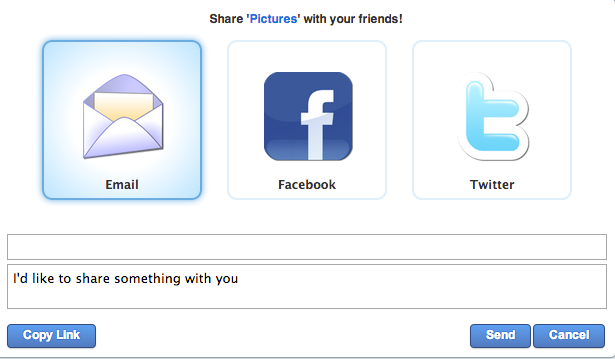 Social networking is well integrated here, with Facebook and Twitter options appearing alongside email options once an item has been shared. We visited the Apple app store to download the mobile software for CloudMe. The software was pleasingly slick in operation, and we were rapidly able to access the test files we had uploaded to the service via our Mac. 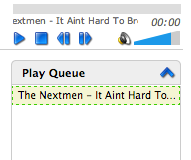 This included directly streaming the audio from our “Music” folder. However, we were not entirely convinced many people would use this facility rather than Apple’s own free (and effective) Photo Stream service. In all honesty, we ended up liking CloudMe more at the end than we had thought we would at the beginning. What initially looks like a service that’s very light on functionality does, in fact, have a little more hidden away below the surface. We can certainly see some great uses for the free service. Both the Web interface and iPhone app were slick in operation, and the music streaming worked very well. In fact, we were tempted, after the review, to fill our free 3GB allocation with extra music to supplement our iPhone’s storage space. Once you start to think about the paid service, however, a few doubts do creep in. Essentially, this is only because there are similarly priced options with more support options and more features, particularly when it comes to encryption. Don’t run a mile from CloudMe, however, as what’s here works well – and if you’re a believer in “less is more” you could get plenty of mileage from this service.